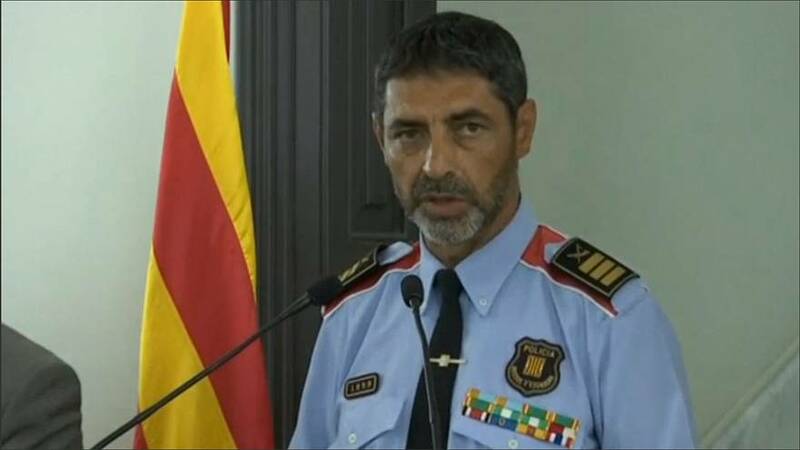 Catalian police chief Josep Lluís Trapero won plaudits around the world for his handling of the aftermath of the terrorist attacks on Barcelona and Cambrils. As well as overseeing the elimination and capture of the cell responsible, the young police chief handled the bulk of the communication around the operation. “Proud” and “thanks” were two of the most repeated words on social media in the days following the attacks as a single police officer shot dead four terrorists in the town of Cambrils and the author of the Barcelona attack, Younes Abouyaaqoub, was tracked down and killed in Subirats. Born in 1965 and raised in a working-class neighbourhood in Santa Coloma de Gramanet, close to Barcelona, Trapero was named police chief, last April. His resumé includes a law degree alongside 26 years of service in law enforcement. “He has worked a lot to be here,” says a police officer who did not want to be named but who had worked intensively as part of the operations following the attacks. Nevertheless, alongside his charisma, Trapero has a reputation for stubbornness and no-nonsense speech that has earned him critics. Last month he hit out at millennials suggesting they are lazy. Those comments hit some in his own force. “In spite of the fact that the police chief thinks that [young people] don’t have the capacity for sacrifice, nor do they strive, reality and data confirm that it’s the young who do most of the work,” the officer told Euronews. A previous controversial saw Trapero’s integrity questioned after he was pictured at a party last summer alongside the pro-separatist Catalan president, Carles Puigdemont. Those images opened a debate about the neutrality of Catalan police. The journalist left the room and Trapero noted “Bueno, pues molt bé, pues adiós”, a sentence that could be translated into English as “Well, then, fine, then, goodbye”.